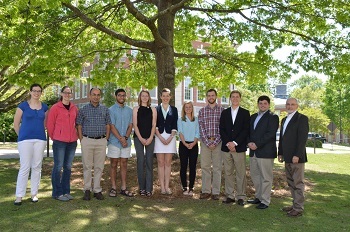 Alpha Epsilon is an honor society for outstanding agricultural, biological and food engineers. The objectives of the honor society are to promote the high ideals of the engineering profession, to give recognition to those agricultural, biological and food engineers who manifest worthy qualities of character, scholarship and professional attainment, and to encourage and support such improvements in the agricultural, biological and food engineering profession that make it an instrument of greater service to mankind. Memberships in Alpha Epsilon consist of three classes: honorary, active and alumni. Honorary members are selected on the basis of successful achievement in biological and agricultural engineering. Active members are chosen only from students registered in the upper portion of their engineering class, and who exhibit outstanding qualities of character, leadership, and personality. Graduate members may be chosen from outstanding graduate students in agricultural, biological and food engineering. 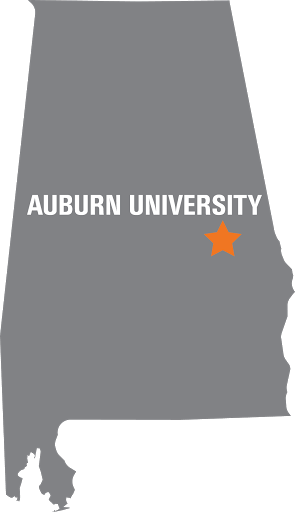 Active members of Alpha Epsilon's Alabama Delta Beta Chapter are undergraduate engineering students enrolled in the Biosystems Engineering Department at Auburn University. The active membership in Alpha Epsilon for undergraduate engineering students is limited to (1) juniors who have a minimum cumulative scholastic rank in the upper quarter of the college class and (2) seniors who have a minimum cumulative scholastic rank in the upper third of the college class. Active members can also be graduate students who would have met the requirements for membership as undergraduates at the institution they attended, had the organization existed there at that time. Graduate students not eligible for membership as undergraduates will be eligible after the completion of at least seven semester hours (ten quarter hours) of graduate course work with a minimum grade point average equivalent to 3.25 on a 4.00-point scale, if they have an undergraduate degree in Biosystems Engineering or closely related field.